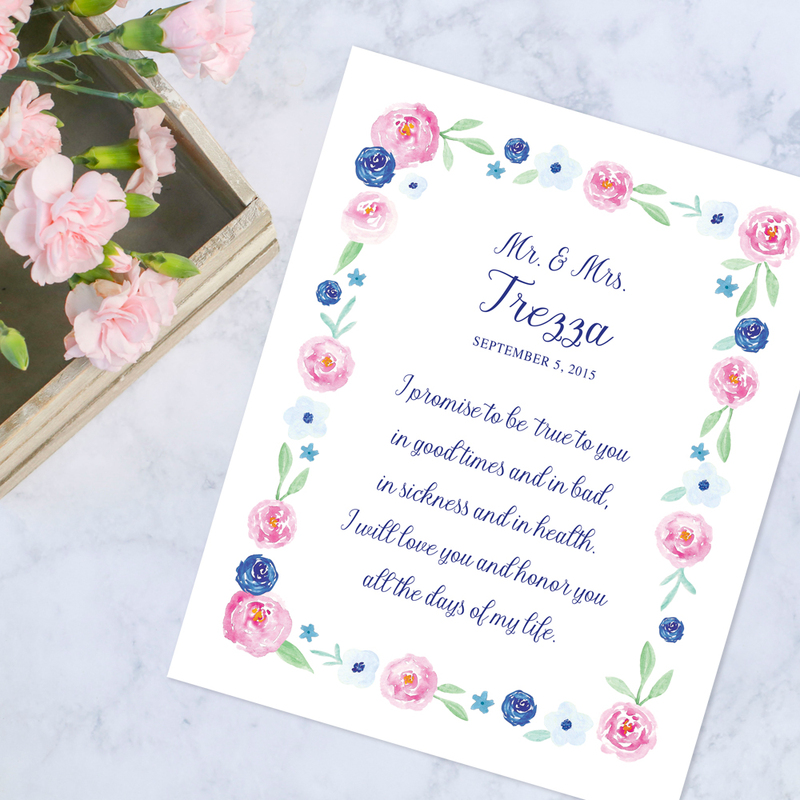 Lindsay Trezza, founder and owner of Just Love Prints, says that her inspiration to begin her business came from Luke 12:28: "Much will be required of the person entrusted with much." The combination of her gift for design and illustration and renewed desire to share her faith after graduating from college in 2012 led to what is now a flourishing business. Lindsay has a BFA in Graphic Design, so it's no surprise that in college, her walls were covered in inspirational prints that she created for fun. 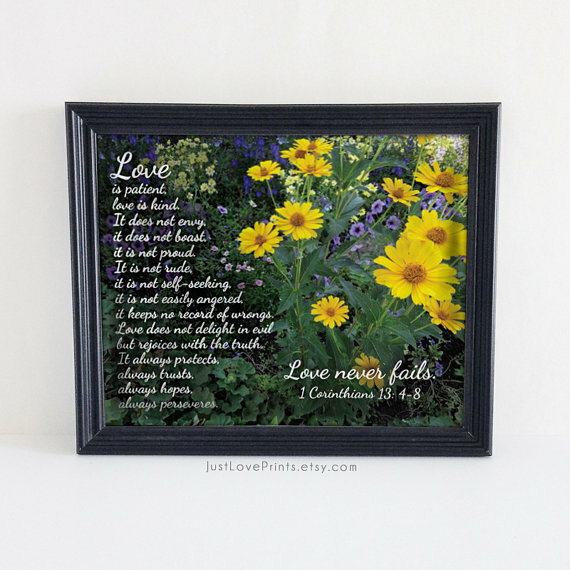 Three years after graduating, she felt the Lord nudging her to leave her full time job and take the plunge into Just Love Prints (as well as her second design business JuneberryCreative.com) full time. Her trust in God's ability to provide was well rewarded, as Just Love Prints has gradually become a household name in the burgeoning world of Catholic lettering and design. 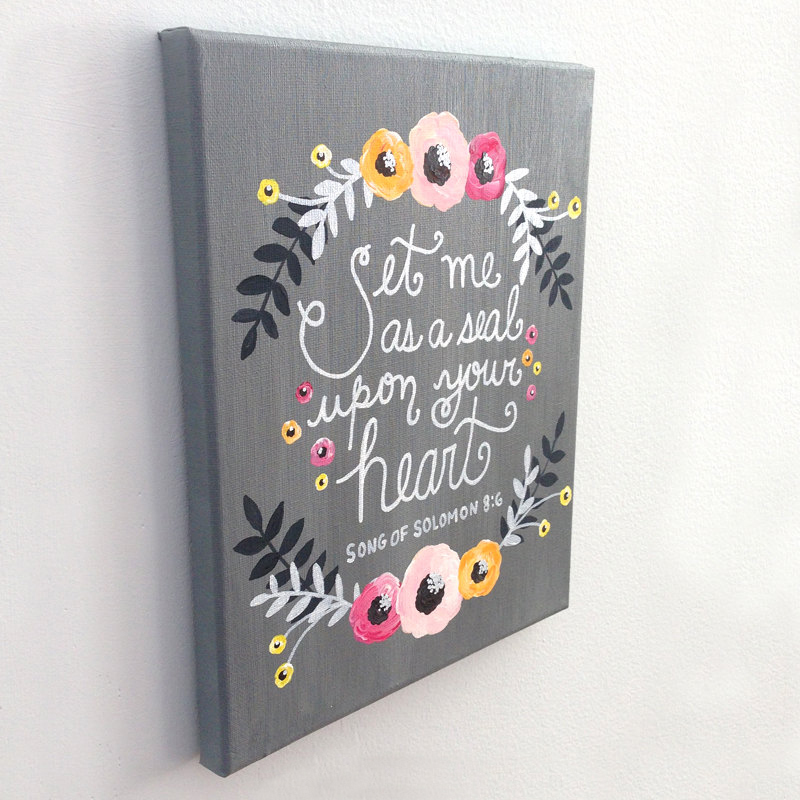 Whether you're looking for a custom-painted Bible for your maid of honor, a custom print of your wedding vows to hang in your bedroom, or an inspirational quotation from a saint or from Scripture, Just Love Prints has something for you. And each time you support her business, you can be confident that you are helping a young Catholic family pursue their vocation to the full. From Lindsay, on what is unique about her experience with clients:: I love connecting with my customers! Working with them to create custom pieces is what I especially love the most. Recently, I was given the opportunity to create a custom piece for a college friend of mine who is entering the Sisters of Life in September. She wanted me to create a watercolor print to give to her mother. What an honor it was to design such a meaningful gift - one that will hang proudly in her mother's home, reminding her of her daughter every time she looks at it.